The Green River Formation of the Western United States is famous for several unusual mineralogic and geologic features, some of which are favorite arguments used by anticreationists against the biblical timescale. The uniformitarians believe that the couplets in the Green River Formation are varves, but evidence militates against this interpretation. Many creationists are also convinced that some of these features cannot be explained by the global Flood of Genesis but must instead be the result of longer-term processes after the Flood. Evidence from erosion and geomorphology, however, militate against the postdiluvial view and is more favorable of a catastrophe on the scale of the Genesis Flood. The Green River Formation outcrops extensively in basins of southwest Wyoming, northeast Utah, and northwest Colorado (fig. 1) (Oard and Whitmore 2006). The Green River Formation is famous for its well-preserved fossil fish (Whitmore 2003), its so-called varves, its rich oil shale deposits that could produce all the Unites States fuel needs for over 100 years (Bartis et al. 2005), and valuable “evaporites.” The Green River Formation occupies a total area of 77,000 km2 (Bohacs, Grabowski, and Carroll 2007, 41). It averages 600 m thick, with a maximum of 3,000 m in the Greater Green River Basin (Roehler 1992). The thickness is even greater in the Uinta Basin of Utah, with a maximum of 6,800 m adjacent to the southern Uinta Mountains (Johnson 1985) and an average probably around 3,000 m.
Fig. 1. The basins of the Green River Formation in Wyoming, Utah, and Colorado (after Buchheim and Eugster 1998) (courtesy of John Whitmore). Uniformitarians predictably envision the Green River Formation forming over millions of years due to gradual deposition in large lakes. The Green River Formation is a favorite weapon for anticreationists, for here, they argue, are about 6.5 million years’ worth of varves (annual layers) to discredit the biblical timescale; bird and mammal tracks and insect nests to discredit the idea of a violent, year-long global flood; and mineral deposits allegedly formed by evaporation of water over hundreds of thousands to millions of years. Some who previously supported the creation cause have found these arguments convincing (Morton 2003). However, there are many scientific objections to uniformitarian scenarios. One of the most obvious problems with the uniformitarian scenario is that the so-called varves are not really varves. They should be more correctly termed rhythmites, which are any repeating unit of sedimentation. The varve scenario is unlikely because of the presence of excellently preserved fossils, especially fossil fish. Such an observation indicates that these thin laminae are not varves since fish will rot in only a few weeks, even on an oxygen-less bottom of a deep, cold lake (Whitmore 2003). The Green River couplets are indeed a remarkable accumulation; their regularity and vast numbers are mind-boggling. How could such uniform deposition continue for 5 to 8 million years? Varves formed in lakes today or claimed to have formed in lakes associated with the Ice Age are often chaotic (Oard 2009a). A third indication of the non-annual character of the Green River rhythmites is the variable number of couplets between two ash beds. The ash beds are very likely time markers. The thickness between the two ash layers varies from 8.1 to 22.6 cm and in number between 1,160 to 1,568 couplets, between localities spaced up to 15 km apart (Buchheim and Biaggi 1988). In a later study, Church and Buchheim (2002) reinforced this conclusion with a slightly different rhythmite count. They counted the number of “varves” between the two ash beds over the 15 km distance as varying from 1,238 couplets at the edge of the Green River Formation in Fossil Basin to 1,661 couplets at the basin center. 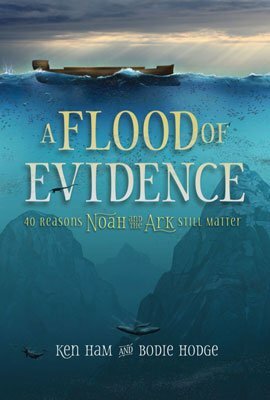 Creationists have unique challenges explaining the Green River Formation within biblical earth history. There are two views of the deposition of the Green River Formation published by creationists. Many creation geologists think the Green River Formation is sediment deposited in a post-Flood lake (Austin 2003; Brand 1997, 2007a; Whitmore 2006a, b, c; Whitmore and Garner 2008; Whitmore and Wise 2008; Wise 2002). The Wasatch Formation, which lies below and intertongues with the Green River Formation, is therefore considered postdiluvial (after the Genesis Flood); it is a mostly coarse-grained formation generally located closer to the mountains. The Bridger and Washakie Formations lie above the Green River Formation and are also considered by many to be post-Flood; they are mostly volcaniclastic sediments (Brand 2007b). Other creationists believe the Green River Formation represents a diluvial (Genesis Flood) deposit (Oard 2006a, b, c; Whitcomb and Morris 1961). Since many creationists have concluded that the diluvial/postdiluvial (Flood/post-Flood or D/P) boundary is in the late “Cenozoic” (Coffin 1983; Holt 1996; Morris 1996; Oard 1996, 2007), they would by implication consider the Green River Formation as a Flood (i.e., diluvial) deposit, since it is dated as “Eocene,” the lower “Cenozoic,” by uniformitarian geologists. This boundary location assumes the geological column for sake of argument. Whether that idea is valid is itself a very important question, but beyond the scope of this paper (Reed and Oard 2006). We present what appears to be simple, definitive evidence that the Green River Formation, as well as the other formations associated with it, is indeed not from a postdiluvial lake. This conclusion is based on an analysis of the amount of erosion from the north limb of the San Rafael Swell, north of Price, Utah, of which the top eroded formation is the Green River Formation. What Should We Expect to Characterize the Green River Formation? The different views introduced above produce different expectations for the Green River Formation. Uniformitarians would expect to find evidence for long periods of time, and they would interpret the data they find in terms of present processes as much as possible. They will look for depositional environments that are similar to those they are familiar from their own experience. Where these fail, they may invoke catastrophes, but they will try to make them cyclic and local as much as possible (i.e., neocatastrophism as opposed to gradualism). Some creationists believe the D/P (Flood/post- Flood) boundary is at or near the Cretaceous/Tertiary (K/T) boundary. So the Cenozoic or most of the Cenozoic is a record of post-Flood catastrophism. The Green River Formation and associated formations, being early Cenozoic, are hence believed to be early post-Flood deposits (Whitmore and Wise 2008). It is believed to have been deposited within a few decades, possibly up to 30 to 40 years, with deposition probably catastrophic at times. Other creationists believe the biblical Flood should not be discounted as a possible or probable cause of all of the significant features of the Green River Formation. These creationists expect to explain the unique features of the Green River Formation in terms of diluvial processes. It has previously been argued that the Green River Formation is from the Genesis Flood for a variety of mostly geomorphological reasons (Oard 2006a, b, c, 2008). We will summarize just four of those reasons. First, the volume of sediment making up the Green River Formation that must be eroded, transported, and deposited is huge—over 100,000 km3. This enormous scale fits other formations deposited in the year-long Deluge, such as the Coconino Sandstone and its equivalent formations to the east with an estimated volume of 40,000 km3 (Austin 1994a, 36). Fig. 2. 600 m high sedimentary erosional remnants in the background from the northern Greater Green River Basin. The Boar’s Tusk, the throat of a volcano over 100 m high, is in the foreground (photo courtesy of John Whitmore). Second, the amount of oil in the oil shale is huge (Bartis et al. 2005). The estimated oil in the Green River Formation in Colorado, Utah, and Wyoming is 1.2 to 1.8 trillion barrels, but only 800 billion is considered recoverable. Just the recoverable oil is three times the proven oil reserves of Saudi Arabia. In 2005, the recoverable oil represented all the oil needs of the United States for 100 years! How can such a huge amount of oil be deposited in a post-Flood lake? Third, massive erosion has resulted in at least 600 m of erosion over large areas (fig. 2). Such erosion, including at the continental divide in the Greater Green River Basin, fits in with the Retreating Stage of the biblical Flood (Walker 1994), but see below for a much greater estimate of erosion south of the Uinta Basin. Fourth, tropical and subtropical fossils, such as palms and crocodiles, are found in the Green River Formation. If the Green River Formation had been deposited soon after the Flood, the Ice Age would have already started, and there should not have been any warm-climate animals or plants at such an inland, high altitude location. Is There Any Way to Maintain Tropical Temperatures in Southwest Wyoming? Those who believe in post-Flood catastrophism want to delay the Ice Age (Wise 2002). But, it would be difficult to delay the Ice Age from starting in favorable locations right after the Flood. This is because the volcanic ash and aerosols (very small particles) left from the Flood would provide a quick cooling, especially over mid continental interiors and at high latitude. Post-Flood volcanism would have reinforced the cooling for hundreds of years. The warm ocean of course would keep some areas that are relatively close to the oceans warm early in the Ice Age. The warm oceans would also provide copious moisture for rain and snow on the Earth. However, southwest Wyoming is far from the warmth of the early post-Flood Pacific Ocean. The issue of continentality, in terms of seasonal temperature amplitude for the continents, remains a significant problem in paleoclimatic reconstructions. Based on arguments of seasonality and continentality . . ., the annual temperature range for the continental interior of North America should be similar for the Eocene and today, assuming no variation in external forcing factors. This is, in fact, what the model results indicate. Eocene and Cretaceous climate-model experiments demonstrate that regardless of conditions of warm polar oceans, differences in pole-to-equator surface-temperature gradient, or topography, above freezing temperatures in winter for continental interiors at middle to high latitudes cannot be maintained (Sloan and Barron 1990, 489). Fig. 3. Approximately 8° northward dipping strata just north of Helper, Utah. So, the conclusion is that it is very doubtful if tropical or even subtropical temperatures can occur immediately after the Flood where the Green River Formation is located. The obvious solution to this dilemma is that the Green River Formation is a Flood deposit and not a post-Flood deposit. The 600 m of erosion observed in the area where the Green River Formation outcrops pales in significance to the erosion of the San Rafael Swell, which is an eroded anticline just south of the Uinta Basin. The San Rafael Swell and Uinta Basin are located in the northwestern Colorado Plateau. They are separated by the Roan and Book Cliffs. The Green River, Flagstaff, North Horn, and Price River Formations on the north limb of the San Rafael Swell, which make up the Roan and Book Cliffs north of Price, Utah, dip generally northward about 8º. The dip is consistent to the northeast along Highway 191 from Helper (just north of Price) up to a pass a little over 2,750 m msl (figs. 3 and 4). To the north of the pass, the dip of the bedding plane (the dip slope) from the top of the pass can be clearly seen in the left foreground with a cliff about 600 m above the bedding plane seen in the distance (fig. 5). This cliff is close to the relief caused by erosion of the Green River and equivalent formations. We calculated the minimum amount of erosion over the northern San Rafael Swell, which should be representative of the whole Swell. We chose Helper, Utah, as the point where the erosional thickness calculation was made, because the dip of the strata decreases between Helper and Price. We drew a vertical profile of the sedimentary rocks along the line shown in Fig. 6. This vertical profile is shown in Fig. 7. Although the dip of the strata was uniform, we put question marks on Fig. 7 to show that the eroded thicknesses are an extrapolation from the north rim of the San Rafael Swell. Fig. 4. Northward dipping strata at the top of the pass on Highway 191 between Helper and Duchesne, Utah. View is south toward the San Rafael Swell showing how the strata have been greatly eroded to form the Roan Cliff. We first calculated y (the erosional thickness) by using the formula for the tangent of an angle with the dip of the strata and the approximate distance by air between Helper and the top of the pass, which is about 25 km. Although the dip of the sedimentary rocks is close to 8º, we were conservative in also calculating y for a dip of the sedimentary rocks of 6º, thus y ranges from 2.6 to 3.5 km. We also need to add the height of the pass, a little over 1 km, and the height of the cliff just to the north of the pass, which is about 0.6 km. Adding these together, the minimum amount of erosion over Helper ranges from 4.2 to 5.1 km. Since the San Rafael Swell is about 125 km long and 50 km wide (Huuse et al. 2005, 81), 5 km of erosion represents about 30,000 km3 of erosion over this area of the Colorado Plateau. This amount of erosion agrees with the upper estimate of the 2.5 to 5.0 km average erosion of the whole Colorado Plateau, which includes the Uinta Basin and the San Rafael Swell, based on geological clues (Schmidt 1989, 93). Since the Colorado Plateau represents an area of 337,000 km2, the amount of erosion for the whole Colorado Plateau is 842,000 to 1,700,000 km3. Fig. 5. View northwest of approximately 600 m high cliff above the bedding plane, which slopes generally northward from the top of the pass as seen in left foreground. This cliff represents the 600 meters of relief observed elsewhere in the Green River Formation. An enormous, fairly flat erosion surface occurs above most Grand Canyon formations . . . The physical evidence for extensive post-Chinle erosion in northern Arizona is best regarded as the product of sheet-flood erosion, as the waters of the Flood retreated off Arizona. Fig. 6. The geographical context of the north limb of the San Rafael Swell. The line shows the location where the vertical cross-section of the sedimentary rocks is shown in Figure 7. What erosional mechanism has been capable of removing such an amount of material [2500 to 5000 m] since the period of denudation began in a geologically brief timespan, i.e., since the beginning of the Tertiary in the anticlinal uplifts and since the end of the Eocene in the basins? The Cenozoic is considered post-Flood by some creationists (Whitmore and Garner 2008). All this Cenozoic erosion is thus consistent with massive continental erosion during the Retreating Stage of the Flood (Walker 1994). It does not fit at all within a post-Flood scenario. The top formation eroded off the San Rafael Swell is the Green River Formation (fig. 7). So, if the Green River Formation is a postdiluvial lake deposit, 3 km of deposition must first occur in a subsiding Uinta Basin. Second, folding upwarped the San Rafael Swell. Third, around 4 to 5 km of sedimentary rocks (with the Green River Formation being the first to erode) over an area of about 30,000 km2, must be taken off the anticline. A further problem is that the eroded debris from the San Rafael Swell and the Colorado Plateau is not found in some massive flood plain nearby. The huge amount of eroded sedimentary rock appears to have been entirely swept from the continent. We find it inconceivable that all this geological activity can occur after the Noahic Flood, even in some unspecified postdiluvian catastrophic event or events. We consider that the huge erosion of the San Rafael Swell and the Colorado Plateau falsifies the post-Flood lake scenario. Fig. 7. Cross-section of the sedimentary rocks of the north limb of the San Rafael Swell along the line shown in Figure 6. Dashed lines with question marks show the strata projected up over the San Rafael Swell, assuming no change in thickness. Du means diluvial undifferentiated. Note that the total erosion is 4.2 to 5.1 km. One suggested possibility for heavy post-Flood erosion is heavier rain caused by a warm ocean right after the Flood (Wise 2002, 213–215), perhaps by hypercanes (Vardiman 2003). It is indeed very likely that there would be significantly heavier rain on the Colorado Plateau right after the Flood, possibly 3 to 8 times the current average (Oard 1993). Holt (1996) arrived at a value 5.3 times the current precipitation during a 500-year Ice Age north of 40ºN based on my earlier work (Oard 1990). In order for hypercanes to develop, the mean wind would have to be small enough relative to the size of the sea surface temperature anomaly to permit the storm to develop in the time it takes to cross the anomaly. Given a development time of 40 hours, mean winds would have to be less than about 1 m s-1 [2 mph] to allow hypercane development over a 100-km-scale sea surface temperature anomaly. Such conditions are unlikely after the Flood, especially at mid and high latitude. Besides, such storms being like extra strong hurricanes would weaken rapidly moving inland, just like a hurricane. The area of the Green River Formation is far inland from the Pacific Ocean. Even with simplifying assumptions favorable for runoff during a 500-year Ice Age, Holt (1996, 132–135) calculated only a 5.7 times increase in runoff north of 40ºN. This runoff represents a maximum runoff, which if evaporation were added would be reduced to 4.3 times today. Even this high runoff can be reduced because heavier rain in such a dry area would also produce more trees and vegetation that would hold the soil and rocks together better. Such heavier rainfall would also increase low clouds, which are now known to cool the climate. Furthermore, some of this extra precipitation would end up as enduring snow in the mountains. So, the rainfall, runoff, trees, and vegetation would be more like western Oregon, which is not known for heavy erosion today. Thus, heavier rain from a warm Pacific Ocean would be insufficient for such huge erosion of the San Rafael Swell. We cannot think of any viable post-diluvial explanation to account for the erosion of up to 5.1 km of sedimentary rocks from the San Rafael Swell, as well as the rest of the Colorado Plateau. This does not include the transport of the eroded sediments off the continent, another problem for any post-Flood suggestion. We are open to entertaining other suggestions, if there are any. While we believe the evidence for large-scale deposition and erosion is compelling for a diluvial origin for the Green River Formation, we recognize that there are other data that are less easily explained. These features include stromatolites (figs. 8 and 9), caddis fly cases (fig. 10), tracks of birds and mammals, bird nests, raindrop impressions, desiccation cracks, and a bullseye pattern of sedimentation. These issues have been openly debated by creationists (Oard 2006a, b, c; Whitmore 2006a, b, c), showing how science should operate and that creationists are open to scientific data and debate. Such difficult issues are nothing new in diluvial geology. We will suggest hypothetical possibilities to explain the difficult features within the Flood. Fig. 8. Small stromatolites in the Green River Formation on Delaney Rim, southern Greater Green River Basin. Fig. 9. Top of a medium size stromatolite in the Green River Formation on Delaney Rim, southern Greater Green River Basin. We believe that stromatolites could be non-biogenic (Oard 2006b; Oard and Froede 2008, 31–34) and that a creationist research program is needed to examine these features. We cannot simply say the features claimed to be stromatolites in the Green River Formation are really biogenic, and that they probably would take years to form. Caddis fly cases, bird and mammal tracks, bird nests, desiccation cracks, raindrop impressions, burrows, and other trace fossils can possibly be explained by a similar model as used by the senior author to explain the unique features of dinosaur bonebeds, tracks, and eggs on briefly exposed Flood sediments (Oard 1995, 2006b, 2009b). Apparently only the small Fossil Basin has a bullseye sedimentation pattern while the other basins that contain the Green River Formation, which are much larger, do not. Can a bullseye sedimentation pattern occur during the Flood in this one small basin? We don’t think the possibility has been exhausted yet. A bullseye sedimentation pattern for Fossil Basin could possibly be explained if the surrounding mountain ranges were established or partly established under the Floodwater. A relative lowering of sea level, exposing the edges of the basin, could possibly produce a basinward fining of sediments caused by erosion of the surrounding high areas toward the center of the basin. Fig. 10. Fossil caddis fly cases located at one level within the Greater Green River Basin, Wyoming. The cases are grouped together by the thousands. We believe that the eroded anticline of the San Rafael Swell is a much more definitive observation for telling us the paleoenvironment of the Green River Formation than the observations within the strata. Observations within the strata can be explained by other mechanisms than by a post-Flood lake (Oard 2006c). Philosophers of science have repeatedly demonstrated that more than one theoretical construction can always be placed upon a given collection of data (Kuhn 1970, 76). One perceptive historian, viewing a classic case of a science’s reorientation by paradigm change, recently described it as ‘picking up the other end of the stick,’ a process that involves ‘handling the same bundle of data as before, but placing them in a new system of relations with one another by giving them a different framework’ (Kuhn 1970, 85). Coming up with reasonable, comprehensive possibilities for how the Green River Formation might have formed is not easy. Some of the data seem to fit better with one view, while other data may fit better with another. This is to be expected when we attempt to explain unrecorded historic events with our limited knowledge. In the case of the Green River Formation, that knowledge is too limited and should be expanded with additional research. Despite its complexity, the Green River Formation provides adequate data for us to eliminate some possibilities. The Green River Formation could not have formed gradually, by present processes, as shown by all the fish and other fossils in it. Its origin must have been catastrophic, which both the postdiluvial and diluvial view acknowledge. We believe that the evidence from deposition and erosion that we have presented here shows that the catastrophe was enormous, a catastrophe unparalleled in history. That catastrophe was on the scale of that expected from the Genesis Flood. We thank anonymous reviewers for helpful comments on the manuscript. Austin, S. A. 1994a. Interpreting strata of Grand Canyon. In Grand Canyon—Monument to catastrophism, ed. S. A. Austin, pp. 21–56. Santee, California: Institute for Creation Research. Austin, S. A. 1994b. A creationist view of Grand Canyon strata. In Grand Canyon—Monument to catastrophism, ed. S. A. Austin, pp. 57–82. Santee, California: Institute for Creation Research. Austin, S. A. 2003. Communication from Creation 2003 presentation. Harrison, Indiana. Bartis, J. T., T. LaTourrette, L. Dixon, D. J. Peterson, and G. Cecchine. 2005. RAND Corporation oil shale development in the United States prospects and policy issues. MG-414-NETL. Bohacs, K. M., G. Grabowski, Jr., and A. R. Carroll. 2007. Lithofacies architecture and variations in expression of sequence stratigraphy within representative intervals of the Green River Formation, Greater Green River Basin, Wyoming and Colorado. The Mountain Geologist 44(2):39–60. Brand, L. 1997. Faith, reason, and earth history. Berrien Springs, Michigan: Andrews University Press. Brand, L. 2007a. Wholistic geology: Geology before, during, and after the biblical flood. Origins 61:7–34. Brand, L. R. 2007b. Lacustrine deposition in the Bridger Formation: Lake Gosiute extended. The Mountain Geologist 44(2):69–78. Buchheim, P. H. and R. Biaggi. 1988. Laminae counts within a synchronous oil shale unit: A challenge to the “varve” concept. GSA Abstracts with Programs 20(7):A317. Buchheim, H. P. and H. P. Eugster. 1998. Eocene Fossil Lake: The Green River Formation of Fossil Basin, southwestern Wyoming. In Modern and ancient lake systems new problems and perspectives, eds. J. K. Pitman, and A. R. Carroll, pp. 191–208. Salt Lake City: Utah Geological Association. Church, M. and P. H. Buchheim. 2002. 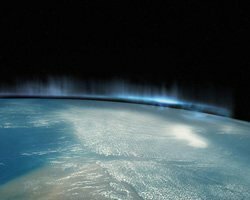 Varves and varvederived climate cycles? Evidence from Eocene Fossil Lake, Green River Formation. GSA Abstracts with Programs 34(6):555. Coffin, H. G. 1983. Origin by design. Hagerstown, Maryland: Review and Herald Publishing Association. Emanuel, K. A., K. Speer, R. Rotunno, R. Srivastava, and M. Molina. 1995. Hypercanes: A possible link in global extinction scenarios. Journal of Geophysical Research 100 (D7):13,755–13,765. Holt, R. D. 1996. Evidence for a Late Cainozoic Flood/post- Flood boundary. Journal of Creation 10(1):128–167. Huuse, M., S. J. Shoulders, D. I. Netoff, and J. Cartwright. 2005. Giant sandstone pipes record basin-scale liquefaction of buried dune sands in the Middle Jurassic of SE Utah. Terra Nova 17:80–85. Johnson, R. C. 1985. Early Cenozoic history of the Uinta and Piceance Creek Basins, Utah and Colorado, with special reference to the development of Eocene Lake Uinta. In Cenozoic paleogeography of west-central United States, Rocky Mountain Section of the S. E. P. M. eds. R. M. Flores and S. S. Kaplan, p. 254. Denver, Colorado. Kuhn, T. S. 1970. The structure of scientific revolutions, 2nd ed. Chicago, Illinois: University of Chicago Press. Morten, G. 2003. Creationist misuse of the Green River Formation. Retrieved from http://home.entouch.net/dmd/greenriver.html. Morris, H. M. 1996. The geological column and the Flood of Genesis. Creation Research Society Quarterly 33:49–57. Oard, M. J. 1993. Comments on the breached dam theory for the formation of the Grand Canyon. Creation Research Society Quarterly 30:39–46. Oard, M. J. 1995. Polar dinosaurs and the Genesis Flood. Creation Research Society Quarterly 32:47–56. Oard, M. J. 1996. Where is the Flood/post-Flood boundary in the rock record? Journal of Creation 10(2):258–278. Oard M. J. 2006a. The case for Flood deposition of the Green River Formation. Journal of Creation 20(1):50–54. Oard, M. J. 2006b. Response to the post-Flood lake model for the Green River Formation. Journal of Creation 20(1):64–71. Oard, M. J. 2006c. Geomorphology indicates the GRF was deposited in the Flood. Journal of Creation 20(1):79–80. Oard, M. J. 2007. Defining the Flood/post-Flood boundary in sedimentary rocks. 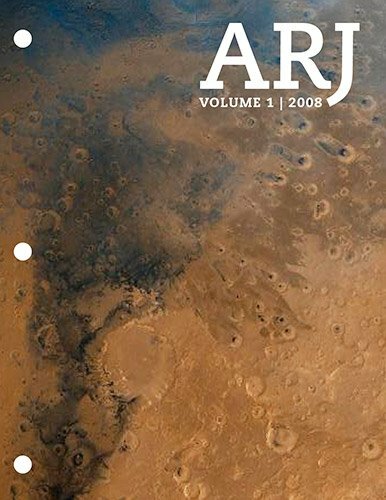 Journal of Creation 21(1):98–110. Oard, M. J. 2008. Flood by design: Receding water shapes the earth’s surface. Green Forest, Arkansas: Master Books. Oard, M. J. 2009a. Do “varves” contradict biblical history? In Rock solid answers: Responses to popular objections to biblical geology eds. M. J. Oard and J. K. Reed. Green Forest, Arkansas: Master Books (in press). Oard, M. J. 2009b. Dinosaur tracks, eggs, and bonebeds. In Rock solid answers: Responses to popular objections to biblical geology, eds. M. J. Oard and J. K. Reed. Green Forest, Arkansas: Master Books (in press). Oard, M. J. and C. Froede, Jr. 2008. Where is the pre-Flood/ Flood boundary? Creation Research Society Quarterly 45(1):24–39. Oard, M. J. and J. H. Whitmore. 2006. 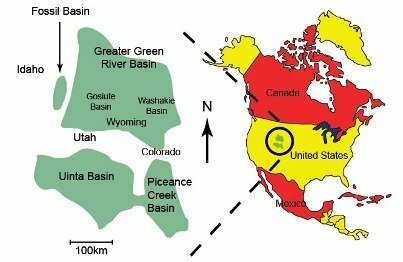 The Green River Formation of the west-central United States: Flood or post- Flood? Journal of Creation 20(1):46–49. Reed, J. K. and M. J. Oard, eds. 2006. The geologic column: Perspectives within diluvial geology. Chino Valley, Arizona: Creation Research Society. Roehler, H. W. 1992. Introduction to Greater Green River Basin geology, physiography, and history of investigations. U.S. Geological Survey Professional Paper 1506-A:A1–A14. Schmidt, K.-H. 1989. The significance of scarp retreat for Cenozoic landform evolution on the Colorado Plateau, USA. Earth Surface Processes and Landforms 14:93–105. Sewall, J. O. and L. C. Sloan. 2004. Less ice, less tilt, less chill: The influence of a seasonally ice-free Arctic Ocean and reduced obliquity on early Paleogene climate. Geology 32:477–480. Sloan, L. C. 1994. Equable climates during the early Eocene: Significance of regional Paleogeography for North America climate. Geology 22:881–884. Sloan, L. C. and E. J. Barron. 1990. “Equable” climates during earth history? Geology 18:489–492. Sloan, L. C. and E. J. Barron. 1992. A comparison of Eocene climate model results to quantified paleoclimatic interpretations. Palaeogeography, Palaeoclimatology, Palaeoecology 93:183–202. Sloan, L. C., M. Huber, T. J. Crowley, J. O. Sewall, and S. Baum. 2001. Effects of sea surface temperature configuration on model simulations of “equable” climate in the Early Eocene. Palaeogeography, Palaeoclimatology, Palaeoecology 167:321–335. Sloan, L. C. and C. Morrill. 1998. Orbital forcing and Eocene continental temperatures. Palaeogeography, Palaeoclimatology, Palaeoecology 144:21–35. Sloan, L. C., J. C. G. Walker, and T. C. Moore, Jr. 1995. Possible role of ocean heat transport in early Eocene climate. Paleoceanography 10:347–356. Strahler, A. N. 1987. Science and earth history—The evolution/creation controversy. Buffalo, New York: Prometheus Books. Vardiman, L. 2003. Hypercanes following the Genesis Flood. In Proceedings of the Fifth International Conference on Creationism, ed. R. L. Ivey, Jr., pp. 17–28. Pittsburgh, Pennsylvania: Creation Science Fellowship. Walker, T. 1994. A biblical geological model. In Proceedings of the Third International Conference on Creationism, ed. R. E. Walsh, pp. 581–592.Pittsburgh, Pennsylvania: Creation Science Fellowship. Whitcomb, J. C. and H. M. Morris. 1961. The Genesis Flood: The biblical record and its scientific implications. Philipsburgh, New Jersey: Presbyterian and Reformed Publishing. Whitmore, J. H. 2003. Experimental fish taphonomy with a comparison to fossil fishes. PhD dissertation, Loma Linda University, Loma Linda, California. Whitmore, J. H. 2006a. The Green River Formation: A large post-Flood lake system. Journal of Creation 20(1):55–63. Whitmore, J. H. 2006b. The geologic setting of the Green River Formation. Journal of Creation 20(1):72–78. Whitmore, J. H. 2006c. Difficulties with a Flood model for the Green River Formation. Journal of Creation 20(1):81–85. Whitmore J. H. and P. Garner. 2008. Using suites of criteria to recognize pre-Flood, Flood, and post-Flood strata in the rock record with application to Wyoming (USA). In Proceedings of the Sixth International Conference on Creationism, ed. A. A. Snelling, pp. 425–448. Pittsburgh, Pennsylvania: Creation Science Fellowship and Dallas, Texas: Institute for Creation Research. Whitmore, J. H. and K. P. Wise. 2008. Rapid and early post- Flood mammalian diversification evidences in the Green River Formation. In Proceedings of the Sixth International Conference on Creationism, ed. A. A. Snelling, pp. 449–557. Pittsburgh, Pennsylvania: Creation Science Fellowship and Dallas, Texas: Institute for Creation Research. Wise, K. P. 2002. Faith, form and time. Nashville, Tennessee: Broadman & Holman.